Guess what! Since I had a few extra vacation days to take before the new year, I decided to use Thursday and Friday to bake as many pies as I could without losing my mind (that threshold is officially 6). So, this week will be a 6-parter so I can showcase each creation from the pie party I hosted on its own. I wanted to get ahead of the game, so I started on three pies that could be refrigerated overnight on Thursday. I also made the crust for this first pie, the appetizer course, Aren’t You Sweet Sweet Potato Pie. As you’ll see below, that plan didn’t quite work out for me, but all turned out well in the end. I was super proud of my crust handiwork on this one! 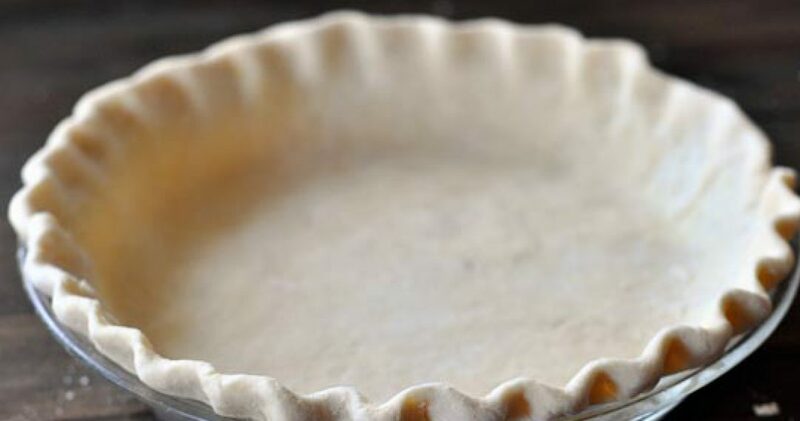 1) When taking a pie crust out of the oven, don’t do so with one hand while stirring something else on the stove. And then after dropping said crust on the floor, don’t grab your now-empty pie dish from off the floor, badly blistering three of your fingers. It’s still hot. I scrapped the whole project and decided to start fresh on Friday. I think I did pretty well with my decorating both times. 2) Once again, blind baking is not my friend. My second pie crust slipped down a bit in one area during the first half of the baking process. Unable to push it back into place, I used some extra leaf cutouts and layered them on top of the existing ones. It was still a little uneven once fully baked, but it did the trick! 3) The recipe calls for you to make your own sweet potato purée. I recommend either cooking the potatoes longer or mashing as much as humanly possible. My potatoes were still a bit chunky, so I fished out the bigger pieces when mixed with the other ingredients before baking. Didn’t affect the overall taste, but it could have been smoother. This was a great kickoff for the pie party! Even though it was more of a side dish or dessert than an appetizer, it still worked well. The maple whipped cream was delicious. I wowed my guests with the decorative leaves…highly recommend purchasing some fun cookie cutters. Not bad in comparison to the cookbook, eh?